Passover commemorates the Jewish Exodus from Egypt and celebrates leaving slavery to become free over 3,300 years ago. While the Jewish community has existed and prospered in Savannah, Georgia for not quite that long, their history is closely intertwined with the city itself. The first Jewish settlers arrived in 1733, not long after General Oglethorpe that same year. The third Jewish congregation in the U.S. was formed in July of 1735. It became known as Mickve Israel which, loosely translated, means “Hope of Israel”. 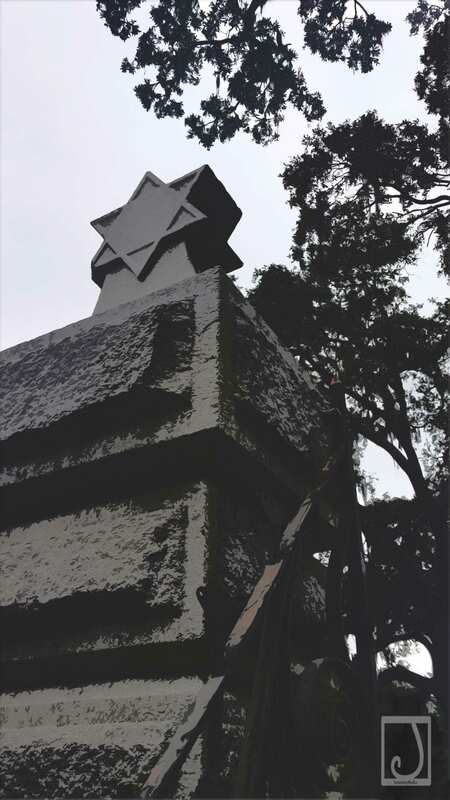 As with history in life, there is history in death and Bonaventure Cemetery has a Jewish Cemetery that is well worth exploring. 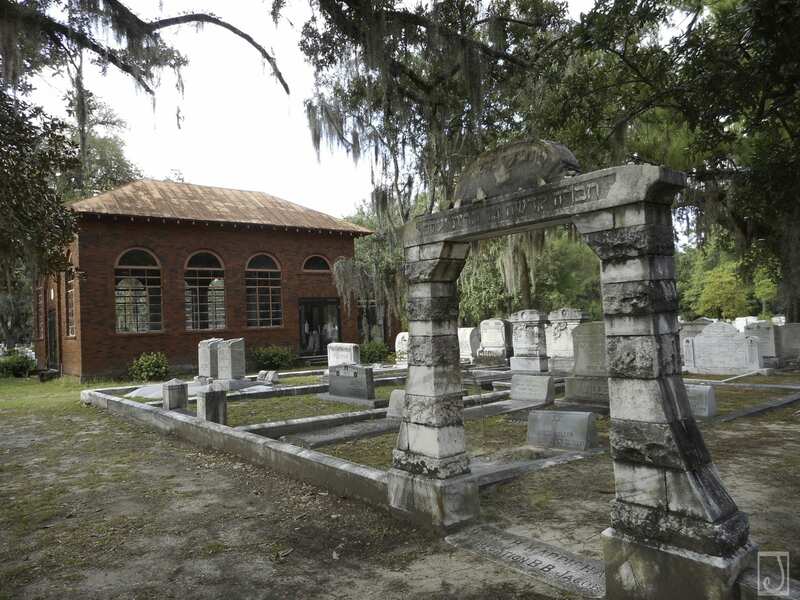 Soon after the City of Savannah purchased what is now known as Bonaventure Cemetery in 1907, the Mickve Israel congregation purchased a large adjacent section of land for Jewish burials in 1909. In accordance with Jewish customs, a separate gate was constructed and there is also a lovely brick and glass chapel. In 1950 a Holocaust Monument (Q-415) was installed. To find the Jewish section enter through the gates on the right side with the Star of David atop the gates. Follow Sheftall Way to the right to section Q where you will see the rectangular brick chapel to your right. International Association of Jewish Genealogical Societies.